Thanks to Dave Lee for transcribing this excerpt from The Record Producers by John Tobler and Stuart Grundy (The book from the BBC Radio 1 Series). 'I met Denny Cordell, who worked for the sort of sister company in England, which was called Essex Music - at that time, Essex Music was owned by the Richmond Organisation. Denny had come to New York specifically to look for an American record producer whom he could bring back to England, to sort of Americanise his productions, because he was totally in love with American music and particularly black music. He said he was going to phone up Phil Spector - he had these delusions of actually getting Phil Spector to come over and work for him. 'Denny was a perfect example of a leader - he looked like everyone's idea of King Arthur with silvery curly hair, he was quite an impressive figure, and he could charm the birds off the trees. 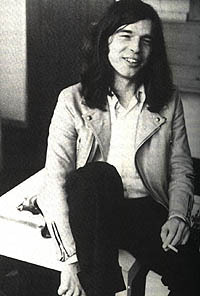 He was a very smooth talker, and although he had very little musical or technical knowledge, because of his mind and his control over people he produced incredible hits like Whiter Shade Of Pale and With A Little Help From My Friends, and I just learnt a lot, mainly about psychology, through this man.